The news is out! We’re a finalist for the Hugo Award for Best Fan Artist this year. I’m still working on believing it. Terri and I are both so, so grateful to you all. From the novella “Penric’s Demon” by Lois McMaster Bujold. Licensed by Lois McMaster Bujold. From the novel Anathem by Neal Stephenson. Produced with permission from Neal Stephenson. But where did “Lady Astronaut Nouveau” go? So, funny story about that. When we published our eligibility post in December, we included the above two works, plus “Lady Astronaut Nouveau” based on The Calculating Stars by Mary Robinette Kowal. The former two were created earlier in 2018 and shown in art shows at Confluence and ICON. We finished “Lady Astronaut Nouveau” late enough in the year that we didn’t have any more art shows booked in which we could show it. We put it all over the interwebs, though. The final category is also for people. Again note that the work by which artists should be judged is not limited to material published in fanzines. Material for semiprozines or material on public displays (such as in convention art shows) is also eligible. Fan artists can have work published in professional publications as well. You should not consider such professionally-published works when judging this award. The internet is about as public as it gets, right? It was even included in Mary Robinette’s Pinterest Gallery for Lady Astronaut Fan Art. The first two pieces clearly qualify, so that is fine. I'm afraid that the rules exclude pieces that have only been displayed online. This, dear reader, is ridiculous. Works published electronically rather than on paper have always been accepted as nominees. A decision of the 2009 WSFS Business Meeting formally acknowledged this by ratifying a Constitutional Amendment that added the words “or the equivalent in other media” to various category definitions. There is no requirement that a work be published on paper (for written/graphic fiction and non fiction), on film or video tape (for dramatic presentations), or that it be distributed through any traditional methods such as bookstores, movie theatres, etc. In other words, publishing and distributing your work on a web site is exactly the same as having copies of your book in a bookstore or your movie shown in a movie theatre. Aside from the fundamental distinctions between written, graphic, and dramatic works, medium of distribution has nothing to do with a work’s eligibility. There is no restriction on who publishes a work. For example, if an author makes a novel available to be read on a web site or prints copies at his/her own expense, that novel is eligible just the same as a novel published by a well-known publishing company and sold in traditional bookstores. We have blogged before about why we think that restricting the Professional Artist category to “professional publications” is outdated in an age when it is possible to make most if not all of one’s artistic income from online sales directly to customers. But there’s something extra odd and gatekeeper-y in telling a fan that their fan work doesn’t count until someone else - a zine or an art show head - gives it their stamp of approval. If authors who publish online are real authors, then artists who post their work online are real artists. If fan writers who write online are real fans, the artists who art online are real fans, too. We will be attending Dublin2019, and Terri has a proposal for the WSFS business meeting in the works. I am told there are lists. Because it is time and past to overhaul the Pro Artist / Fan Artist categories. We would really love your support in this endeavor. If you are interested, please let us know by filling out the form below. And in the meanwhile, please do not consider “Lady Astronaut Nouveau” when you fill out your ballot. If that means that you rank us lower than you would otherwise, so be it. This year’s slate is full of amazing Fan Artists and we could not be mad to lose to any of them. Want to Help Revise the Artist Category Requirements for the Hugos? Terri is working on a proposal. If you would like to support us, or be updated on our efforts, please let us know how to contact you below. Terri will be in touch when we have updates on how you can help with this proposal. Thank you so much to all of you. You are the ones who chose us for this honor and we deeply, deeply appreciate it. We love making art, but it’s especially gratifying to know that the art we have made has touched other people. Also an enormous thank you Lois McMaster Bujold, Neal Stephenson, and Mary Robinette Kowal, for writing words that inspired us so deeply and were kind enough to open the door to us when we came knocking, asking for permission to play in their universes. It’s rather fitting for us to be nominated this year, when all of our public work was literally fanart of others’ writing. And just look at this slate of nominees! We can’t believe we get to call these people our colleagues! Likhain’s colorwork is so unbelievably phenomenal and Grace Fong’s use of space is extraordinary. Ariela has been a fan of both of them for years. Terri has been both a fan and a friend of Meg Frank for a while. This is Spring Schoenhuth’s umpteenth nomination, and frankly it is a crime that her jewelry is not more widely recognized as being fine art, because it is. And we don’t even know what to say about being nominated with Sara Felix, who has friggin’ designed not one but two Hugo bases. And the whole ballot. That is, as Terri says, a whole lotta ballot. How the heck are we going to be able to pick favorites?!!?? Congrats to all of the nominees. So, so well deserved. You may notice two names up at the top of this blog post and that “we,” which is plural, not royal. That’s because this is a two-person operation. And though it’s my name on that list, it really should be “Geek Calligraphy,” because this art is a team effort. Editors get their own category for the Hugos, but there isn’t one for Artist Wrangler, who is a bit like an editor, agent, manager, assistant, and marketer/publicist all rolled into one. Terri is my creative partner; she comes up with a good chunk of the ideas that turn into our art. Lady Astronaut Nouveau, for example, was the direct result of her demand that I do art for The Calculating Stars, and her input and feedback along the way means you got a very different product than you would have seen from me working on my own. Hugo rules may say that it’s my name on the ballot, but the world should also know about Terri’s contribution. Thank you everyone again and we will see you in Dublin this summer! We are the House of Judah. Our coat of arms displays a matzah on a field of tin foil. Our words are Pesach is Coming. Enjoy your spaghetti, cheerios, bread, pretzels, bagels, etc. Enjoy them until they are gone. And remember kids, don’t feed the Passover-Industrial complex. I’m off to Capricon this weekend (Terri won’t be at this convention). Art will be in the Art Show, both in the Gallery (which is auction sales) and Print Shop (buy it and walk out). Look for the green and purple signs and binders. Not all dangerous beasts fit the ugly monster stereotype. Sirens use beauty to capture their prey, as do many plants, bugs, and birds in the natural world. Serial killers are often physically attractive. Are humans hard-wired to trust beauty? And does that make the beautiful monster the most dangerous of them all? Join artist Ariela Housman for a wander through the art show. Is it possible that human beings riding in tiny, fragile little tin cans will face the vast reaches of space, with all its unpredictable dangers, without taking the religions of the world with them? If there will be Christians, Muslims, Buddhists, Hindus, Jews, Pagans, and others out there on the Final Frontier, how will their faiths adapt? Can a person still be a faithful Wiccan if s/he lives on a non-terrestrial planet? In what direction should the faithful Muslim pray? Will Christians believe that Jesus can save non-human sentient beings too? Why do so many writers resort to made-up religions, rather than extrapolating the evolution of real ones? What happens to the panel ideas that get rejected? They are reborn here as random panel topics! Our panelists will choose topics (at random, of course) and speak expertly on them for 5 minutes each. You'll be rolling on the floor with laughter! As we explained, we have decided to attend Arisia this year. We will be keeping our ears and eyes open, but we are cautiously hopeful that we, and everyone else, will be able to have a safe and enjoyable con. If you aren’t there this weekend because of a principled boycott of the convention, we hope that you will support the artists and vendors who depend on Arisia sales for their livelihoods. If you're on staff/volunteering for the convention, you can catch us at the Art Show reception in our business colors. Otherwise, you can see our work there (and us, from time to time). Protip: our art is cheaper at conventions than it is online! So many mental health issues can make us feel disproportionately terrible for minor, everyday mishaps, and the culture of "neurodivergent character = villain" doesn't help. Instead, let's talk about neurodivergent protagonists and stories about people working around or even using their Quirky Brain Stuff to save the world and live happily ever after. It can be hard to find Jewish stories that don't focus on the Holocaust. Luckily, there are many works relating to Judaism in science fiction and fantasy. Naomi Novik and NS Dolkart are two Jewish authors who include Jewish characters and themes in their works. Marie Brennan based the world religion of her Natural History of Dragons series on Judaism. Let's celebrate Jewish authors, worlds, and characters! "Beach reads," "candy," "fluff," "guilty pleasures," -- so many words to downplay the fact that we may be reading something "less than literary"! But fun reads have worth of their own, and lightness and artistic merit are not mutually exclusive. Join the panelists as they discuss the delights of fluff, their favorite works, and moving away from a culture of shame. In anime, many female characters tend to fall into one of two stereotypical groups: weak and meek or angry warrior women. There are characters who go deeper, who might even make good role models. From the girls in Studio Ghibli to Junko Kaname in Puella Magi Madoka Magica to Mikasa Ackerman in Attack on Titan and beyond, who are these strong, nuanced female characters? What about them screams "GIRL POWER!" Which characters or tropes are doing a disservice to women today? Though great strides have been made in recent years, we still hunger for depictions of complex relationships between women, whether familial, platonic, or romantic. What are we still lacking? What stories about female love would make the panelists' hearts sing? Whether you're making a cosplay or something for everyday wear, learn to extend the life and utility of off the rack or second hand garments. Take a thrift store find and turn it into something amazing or save a favored piece from the trash pile with creative solutions for poor fit and minor stains and tears. So you want to be a costumer, but don't know where to begin? Then this panel is for you. Our group of veteran costumers tell you how to get started in the hobby with everything from tips and tricks to demystifying the terms and expectations that are out there. We all had to start somewhere, so let us help you do the same. While discussing Lethal Weapon, Junot Diaz, and toxic masculinity in a Fireside Fiction essay last year, author Brandon O'Brien reminded us that "We need to teach and remind men as often as possible that recovery means responsibility." How has SFF treated cycles of abuse and recovery, and how can it do better? Which books/shows/movies get it right? 2018 was a hard year. While I didn’t make much new art, I am extremely proud of what I did. The Hugo Committee has decided this is not eligible. Inspired by The Calculating Stars by Mary Robinette Kowal. Licensed by Mary Robinette Kowal. In a sense, this feels like the first time I really belong in the Fan Artist category, since three of the four pieces above these started as art by a fan of books, even though they are licensed and whatnot. Some Hugo categories (Best Professional Artist, Best Fan Artist, Best Semiprozine, and Best Fanzine) are defined by whether the work done was professional, semi-professional, or fannish. The definition of what is a “professional” publication is somewhat technical. A professional publication either (1) provided at least a quarter the income of any one person or, (2) was owned or published by any entity which provided at least a quarter the income of any of its staff and/or owner. For the purposes of Hugo categories, you are only a Professional Artist if your stuff gets published in a Professional Publication. So you can make a living entirely for years by selling your SF art directly to other people and still not be considered a Professional Artist for the purposes of the Hugos if your art was never included in a publication that earns according to the above criteria. When making prints was harder and there wasn't much in the way of direct-to-fans selling outside of conventions, this made sense. Today it is ridiculous, but the rules are the rules. Update: The Hugo Committee has ruled that Lady Astronaut Nouveau is not eligible. Our post announcing that and our response is here. Again note that the work by which artists should be judged is not limited to material published in fanzines. Material for semiprozines or material on public displays (such as in convention art shows) is also eligible. By this metric, whether or not Lady Astronaut Nouveau meets the criteria of Fan Art is questionable, as it was neither published in a semiprozine nor displayed in a convention art show. However, it was posted on this website and blog, Mary Robinette Kowal’s blog, and Mary Robinette Kowal’s Pinterest Gallery for Lady Astronaut fanart. Given the wording “not limited to” and “such as” in the category description, we’re reading the examples of semiprozines and convention art shows as just that, examples, and the list thereof as inclusive but not exhaustive. We think that being on the internet is about as public as a display gets, so Lady Astronaut Nouveau should be included when considering Ariela’s 2018 body of work. Should the Hugo Committee think otherwise, we will remove it from all Eligibility posts about Ariela’s 2018 work. Arisia 2019 - Go or Cancel? Well, frak. It sums up our feelings. When the Internet blew up surrounding several accusations of mismanaged Incident Reports by the Arisia Corporation’s Executive Board, we faced a very difficult decision. Do we stay with a convention that has been a very important source of both income and fun for us, or do we boycott as many are doing? This was compounded by the fact that Terri is now living in Israel for two years, and going to Arisia means an expensive international plane ticket. Neither of us wants to support an environment in which assaults are not taken seriously or handled properly. While Arisia has an extensive Code of Conduct and a dedicated Incident Response Team, it’s clear that changes need to be made in who this team consists of and how they manage both official and unofficial reports. Our difficulties in making this decision were further complicated by the vagaries of space and time. Ariela first heard about it on a Thursday night, when Terri was already in bed. By the time both of us were up the next day, Terri was about to bring in Shabbat. And what with one thing or another, by the time we managed to sit down and have a discussion about what to do, the window for a principled exit to effect change had closed: the former president had been kicked out, most of the EBoard had resigned, and an external review team had been contracted to revamp the IRT processes. At this point, publicly stepping away would signal dissatisfaction with the changes that are taking place, not disgust with the initial problem. And while we think that the changes made so far are not sufficient to call the problem fixed, we want them to continue this process. Because of these efforts, we are cautiously giving the convention a last chance. We will be watching carefully to see how these changes are implemented. If we are unsatisfied, we will no longer be attending or exhibiting at Arisia until we can be sure that everyone in attendance is safe. We ask that if you choose to boycott the convention, you support the artists and vendors who rely on it for their income. These people do not deserve to be punished for the actions of others. We will be posting a list of all of these in early January, before the convention. I don’t talk much about my day job over here. 35 hours a week I work on the technical back-end of email marketing and on website analytics for the Union for Reform Judaism (I’m not Reform, I just work for the institution, in case that wasn’t clear.) I take inspiration for my tech-related calligraphy projects from it, but otherwise I assume that no one is coming to the Geek Calligraphy blog to hear me blather about non-profit marketing or database integration woes. But this time I am going to talk about my day job, because I am doing something over there that has surprising applications to calligraphy. For the past few months I have been doing a professional development program called Working Out Loud. I started it because lately I have had trouble focusing on long term projects and have found myself instead reading news coverage of the dumpster fire that is the world instead. Not that staying informed is bad, but this wasn’t healthy news consumption, and it wasn’t resulting in much action on my part; I just read and read and felt nauseated and distressed. I wanted help getting my focus back. I was initially reluctant to give it a try – I am deeply skeptical about corporate professional development programs – but a coworker whom I trusted vouched for it, so I signed up. The five elements of Working Out Loud are relationships, generosity, visible work, purposeful discovery, and a growth mindest. I was surprised to find myself far more inclined to apply the lessons from the program to my calligraphy work than to my day job, and not in the ways that might be expected. Yes, Geek Calligraphy is a small business and a “startup,” but instead of causing me to get more business-y about it, it wound up encouraging me to go the opposite way, particularly on Twitter, in two significant ways. First, I decided to share more of my responses to things I am reading on Twitter. Mostly that takes the form of telling authors when I am reading and enjoying their book. I didn’t do that much before because I figured that authors get enough noise at them on Twitter, they didn’t need one more person up in their mentions. But the Working Out Loud exercises on “the gift of attention” inspired me to start. Most of those posts have gotten likes from the authors, so I guess they don’t find it annoying after all 😊 In one case I even took a selfie (I never think to take selfies, and when I do I am terrible at them) to show exactly how gobsmacked and touched I was by a certain passage in a book that resonated with me very deeply. Second, I decided to make more of an effort to share process shots on social media. As a perfectionist, I find the idea of sharing images of my work in progress scary. How can I let people see anything less than my best finished product? But the exercises in being vulnerable, and above all the encouragement to work in a visible way while in community with other people, i.e. “working out loud,” encouraged me to give it a try. In September I shared process shots of a piece on Twitter as I was working on it, and I was surprised at the positive responses I got. Given how much I enjoy watching work-in-progress videos from my favorite artists online, I suppose I shouldn’t have been so shocked, but it never occurred to me that others would view my work the way that I look at theirs. We just did Week 8 (of 12), and it contains a Habit Checklist. My circle leader, Larry Glickman, suggested printing it out but, ha, I wasn’t just going to print it out! I don’t do boring printouts on my walls, I do calligraphy. And, in the spirit of the Working Out Loud ethos, I want to make it available to anyone who will find it helpful for their personal use. Would I recommend Working Out Loud to other people? Yes, but with two caveats. First caveat is that the program assumes that participants have a certain safety margin in their personal circumstances. I mean that in a financial sense, in a physical safety sense, and in an emotional labor sense. On the financial side, the program doesn’t require a significant outlay of money, but it does require time, and of course, time is money. In terms of physical safety, Working Out Loud encourages public vulnerability, which can be dangerous for people of marginalized identities, both in the physical world and online. For survivors of abuse or violence, it can be a panic-inducing prospect. WOL does emphasize that each exercise is always up to you and you should never do anything that doesn’t work for you, but the repeated calls for voluntary vulnerability could be very off-putting for those for whom vulnerability is not optional. In terms of emotional labor, the program encourages participants to be generous with their time and their expertise, which is lovely, but very hard to do when the world already expects you to work for free. Of course it is different to choose freely to give of yourself, but for some people and in some professions that needs to be preceded by a cost-benefit analysis of “will doing this for free once cause an expectation of free labor ever after?” Again, WOL doesn’t demand that you do any exercise that doesn’t work for you. But these are some things it is helpful to be aware of so that you can choose whether Working Out Loud will be a good program for you. The second caveat is that I haven’t found any awareness in the course that, for some, the program will run up hard against structural inequalities. If your main resource is your network and your community is struggling deeply, they will have fewer resources to help you get ahead. Study after study shows that unconscious bias is alive and well, to say nothing of conscious prejudice, and it will make expanding a network and demonstrating work much harder for some people than for others. Expecting a self-improvement program to overcome systemic inequalities would be totally unrealistic, not to mention unfair. But awareness of the limitations in the face of such problems is crucial. I do still recommend Working Out Loud. I am even making plans to start my own circle with some friends in the geeky professional community after I finish my first circle. Woo! This round of Jewish holidays is over and it is time to get back to a normal work schedule (at least for those of us who don’t have Indigenous People’s Day off from work). To celebrate, here is the finished version of the Lady Astronaut / The Calculating Stars fanart that I started just before Rosh HaShanah. And of the moon G-d said that it should renew itself as a crown of glory for those born of the womb, for they are destined to recreate themselves just as it does. The unfinished version was my entry in the Lady Astronaut fanart contest. You can see pictures of it in process by searching my Twitter feed for the #fanart hashtag. And here is a crummy cell phone picture of my paint palette just after I finished. Would you be interested in buying a Lady Astronaut Nouveau art print? We are gauging interest in an art print run of the Lady Astronaut Nouveau fanart. If you would buy one, please enter your email address below. Should we produce an art print, we will email everyone who expressed interest to let them know. Thank you! If we produce a Lady Astronaut Nouveau art print, we will email you to let you know. This is the second of two blog posts on the making of the Anathem Illuminated First Page art print. Read the first part here. Where last week’s post concentrated on historical inspirations and references in imagery, this one goes into the material concerns of making a manuscript page that looks like it came from the Concent of Saunt Edhar. First, I want to give a major shoutout to Neal Stephenson for coming up with a plausible and sustainable paper culture model for Arbran maths. Parchment would not have been practical, both in the volume of paper usage shown in the math, and also because they would have needed a large number of skins and the math presumably doesn't a sufficient number of herd animals. Paper production likewise probably couldn't have kept apace without mechanization or a large number of avout papermakers. Details like this keep enthusiasts (not Enthusiasts) like me happy. It seems that, even with all the sequencing, page trees don’t produce perfect writing surfaces. 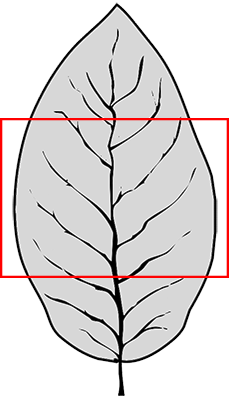 Only one in ten leaves is suitable for collection, drying, cutting, and use, with many having veins that are too prominent to allow for easy writing. This probably means that the leaves that make the cut have visible, but not excessively raised veins. I considered the possibility that page tree leaves would be sequenced to grow with perfectly parallel veins that could be used as ruling lines for writing, but decided that this was improbable: it would limit the uses of the paper by forcing all writing to be approximately the same size and eliminating certain kinds of folding of the leaf because it would cause the rules to orient in the wrong direction. 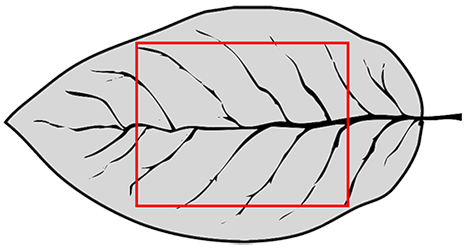 Moreover, if the veins weren’t perfectly parallel, that would also be cause for disqualifying a leaf from use, which Erasmas would surely have mentioned. So the leaves probably have a pattern of veins similar to those of Earth trees from a similar climate to that of the Concent of Saunt Edhar. After completing a full draft of the piece, I washed watercolor paper in a yellow brown and, once it had dried, painted a full system of leaf veins in slightly darker brown. I wanted them to be visible, enough that it would be clear this is a leaf, not parchment or paper, but not pronounced enough to be distracting from the text. Finished underpainting with guide lines for the text positioning penciled in. How a ‘gathering’ or ‘quire’ of four or five sheets of paper or parchment are stacked and then folded along the the center to create a small booklet of 16 or 20 pages. Copyists write on these quires, which are then collected and, after first checking and re-checking that they are in the correct order, sewn together to form a codex. Assuming page tree leaves, like Earth leaves, tend to grow longer than they grow wide, this means that, when a rectangle with the largest possible surface area is cut from it and oriented horizontally, the central vein will also run horizontally. A landscape-oriented cut on a portrait-oriented leaf that is so much taller than it is wide is inefficient. A landcape-oriented rectangular cut out of a landscape-oriented leaf makes much better use of the available surface. Once a rectangular piece is cut out of the leaf, it is folded down the middle so that it can be used in a quire. Incidentally, this is a verso, or left-hand page. The wider margin, which is the outer margin, is on the left, as are the pinpricks that would be used to align the text with all the other pages in the book. Once we have the writing support, aka what we’re writing on, we need to figure out what to write with. Erasmas mentions writing with a quill and ink, but what was his ink made of? As a middle-grade manuscript with decoration but no illumination or figurative illustration, this manuscript’s marginalia would be drawn in several different colors of ink. The Concent of Saunt Edhar seems to engage in quite a bit of trade, but presumably traded goods are less abundant and more valuable than ones that can be produced from local resources. Mining isn’t mentioned as an activity at the math, so all mineral-based pigments would probably be too scarce to be used on this manuscript. Accordingly, I largely confined myself to colors that could be made from plant matter that could be grown at Saunt Edhar, or at least in an Earth climate similar to that described at the math. The main body of the text is in a brown/black color similar to that of iron gall ink. This actually came down to an aesthetic choice, because it was equally likely that the Edharians could have made carbonic ink from lamp black. Carbonic ink is much blacker than iron gall ink. While there’s no mention of fire-based light sources, presumably some burning could be done just to produce ink. But I like the brown-black of iron-gall ink better. The red color is similar to what might be produced from the madder plant, and the blue is similar to a product of woad, both of which grow well in the western European climate. The exception to the plant-based pigments rule is the white, which is based on chalk white. Since chalk halls feature prominently, we can assume that there is a plentiful supply of calcium carbonate at hand that could also be used for white paint on manuscripts. Bonus: way less toxic than lead! Disclaimer: just as I did not write this on an actual leaf, I did not actually use paint derived from madder, woad, or calcium carbonate. Using the watercolors I had on hand, I did my best to color match those displayed in the Traveling Scriptorium’s online Medieval Manuscripts Ink & Pigment Sampler. For those who are interested, I have a Pinterest board of manuscripts and other images I looked at while working on this project. And finally a big ‘thank you’ to Neal Stephenson and his agent, Liz Darhansoff, for giving me permission to do this project.